Brad Leithauser read from and discussed his poetic novel The Art Student’s War to a full and appreciative audience at Borders in Birmingham last night. Originally from the metro area, Leithauser delighted by closing with a passage from the book that takes place in The Detroit Zoo. As the novel’s characters “rode the little zoo train”, Mr. Leithauser took many of us back to a happy, simpler time in Detroit’s history. 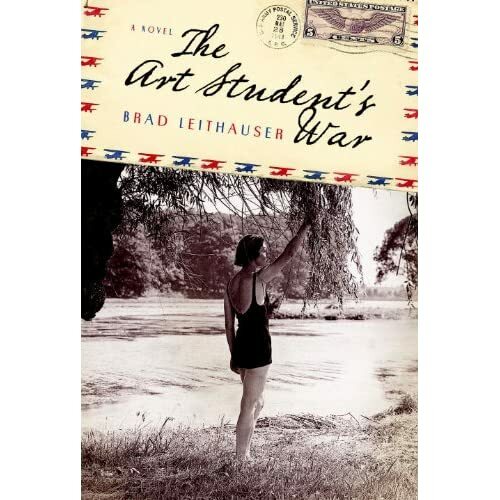 The main character of The Art Student’s War is Bianca (Bea) Paradiso, an attractive eighteen year-old art student who comes of age in Detroit during the heydey of the 1940’s. Assigned to draw portraits of hospitalized soldiers, Mr. Leithauser based Bianca’s character on his mother-in-law, who indeed began drawing portraits of hospitalized soldiers as a teenager during the Second World War. Though Leithauser said it would be wonderful if the book was outrageously priced and purchased for movie rights, his biggest fantasy is to have an actual portrait turn up from a reader or audience member; all he has of his mother-in-law’s portraits are “copies of copies of copies”. Mr. Leithauser’s characters are all so poetic, I had to ask him which one he most identified with. He said Bianca, though she posed a “double obstacle” in that she was both eighteen years of age and a female; somewhat foreign material for an older man. That said, the author faced such conundrums as what Bianca should wear and what kinds of things she would do. Drawing on his experience of raising two girls now in their 20’s helped, and the author claims this work was a definite collaboration of efforts on the part of his family. Acknowledging this wasn’t “a solitary work”, Mr. Leithauser credits his family for their efforts of multiple readings and catching mistakes. When asked if there were places in the book that he felt particularly close to, Leithauser didn’t hesitate to say that the “DIA played a huge role” in his life. For him, the Detroit Institute of Arts was a “sign of a wider world”, a fact that is difficult to remember in these troubling times.